I was lucky enough to receive this beautiful Fricaine Lagosian Exotic Satchel Bag. Not only is it a beauty of a bag, it is very roomy. I always have lots of stuff in my bag. bag (don't we all?). I love the colors of this bag and it has a detachable strap. This is a must have purse in my collection. Check out Fricaine as the have a monthly giveaway for an Exotic Bag! 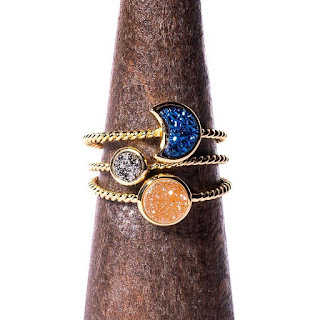 Fricaine has generously offered my readers a discount code. Enter to take 50% off ANY bag at checkout. All bags on Fricaine ship free. To all of the readers, here is the giveaway! I like the Queens hand exotic satchel bag. My favorite is the FRICAINE ALAKE EMBELLISHED EXOTIC BAG. I like the shape and the darker colors. I like Fricaine Sugar Buxx Exotic Shoulder Bag. My favorite bag from Fricaine is the FRICAINE SEE FANCY EMBROIDERED EXOTIC BAG. It is so pretty. I like the FRICAINE ALAKE EMBELLISHED EXOTIC BAG because the bright colors look pretty against the dark background. It looks like it would also be a good size for me. I love the FRICAINE QUEEN'S HAND EXOTIC SATCHEL BAG! I love the colors in it. I love the Fricaine See Fancy Embroidered Exotic Bag because it's gorgeous, and matches my style well. I like the Fricaine Alake Embellished Exotic Bag. I love the fabric design, the colors and the shape of the bag. It comes with a longer strap, which I would use. I like the FRICAINE CLOUD NINE EXOTIC SATCHEL BAG because it is the perfect size for me. I'm really loving the Fricaine Queens Hand Exotic Satchel bag. I really like the colors of this bag!! I love the vibrant colors and the style of the FRICAINE SEE FANCY EMBROIDERED EXOTIC BAG. I love the Africanized Buxx Exotic shoulder bag. They are all just wonderful! I like the Bright Morning bag. I really enjoy that it has an adjustable strap, and the colors are beautiful! I like the Fricaine New Horizon Exotic backpack, because I like a backpack to carry all my stuff. My favorite bag is the Fricaine Chicanza Exotic Shoulder Bag, I really love the colors and it looks like it would hold everything that I need it to. Thank you. I like the New Horizon Exotic BackPack. It's colors are great! And I can take all I need. I love the FRICAINE PRETTY FACE EXOTIC SHOULDER BAG - the red color and the pattern is my fave. Great giveaway - thanks! I would choose the Fricaine Princess Demi Exotic Satchel Bag I love the color and the purple isn't to dark it's light and perfect. I love the FRICAINE PRINCESS DEMI EXOTIC SATCHEL BAG. I love purple, so this immediately caught my eye. i love the http://www.fricaine.com/catalog/new-horizon-exotic-backpack/ becuase the style and bright colors! I like the Fricaine Princess Demi Exotic Satchel Bag. This looks like a cool bag to be able to carry around! I like the Fricaine Princess Demi Exotic Satchel Bag. FRICAINE LIMELIGHT EXOTIC BACKPACK or FRICAINE CHICANZA EXOTIC SHOULDER BAG because I love the fabric. I like the Fricaine Alake Embellished Exotic Bag. I love the style and colors of this bag. Very pretty. I visited the site and I liked the Fricaine Drimwiva Exotic Shoulder bag because it has - one card pocket, one cell phone pocket, one drop pocket and one separate multi-purpose pocket and I like the looks of it as well. I like the Fancy Embroidered Exotic Bag. I really love the colors and details. I like the FRICAINE ALAKE EMBELLISHED EXOTIC BAG. The embroidery and colors are very pretty. I love the FRICAINE PRINCESS DEMI EXOTIC SATCHEL BAG. I love the FRICAINE SEE FANCY EMBROIDERED EXOTIC BAG!! So gorgeous!! The colors and designs are amazing!! Hi, i really need something dressy and found the 'clutches-sparkle-embroidered-exotic-clutch'. Beautiful! I love the FRICAINE ELEGANZA EXOTIC SHOULDER BAG because i love red and it has a lot of red. My favorite is the Fricaine Cloud Nine Exotic Satchel Bag! I love the bright morning embroidered bag. The colors are amazing and beautiful! I like the Fricaine Alake Exotic Embellished Bag because it's design very classy and unique. I also think it looks big enough to hold all my stuff! My favorite bag is the FRICAINE CHICANZA EXOTIC SHOULDER BAG. I love the style and the colors! I love the FRICAINE SUGAR BUXX EXOTIC SHOULDER BAG because of the print ad color :) thank you! FRICAINE ALICE CROSSBODY EXOTIC BAG. I really like crossbodys especially with this unusual print. The Fricaine See Fancy Embroidered bag is my favorite. So beautiful! My favorite is the FRICAINE CLOUD NINE EXOTIC SATCHEL BAG because I like the colors and the style of the bag. I absolutely love the FRICAINE ALAKE EMBELLISHED EXOTIC BAG it's so me! I love the Fricaine new horizon exotic backpack because backpacks are my favorite. I love the Fricaine Sparkle Embroidered Exotic Clutch in EVERY color!!! The Fricaine Alake Embellished Exotic Bag is fantastic too! I like the Pretty Bride Shoulder Bag. It is the perfect size for me and I love shoulder bags. 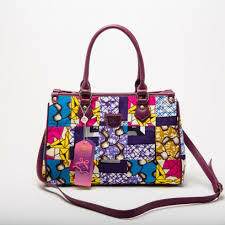 I like the FRICAINE ALAKE EMBELLISHED EXOTIC BAG because its so cute and stylish! Interesting designs on it! 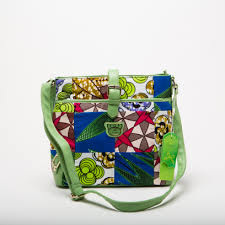 FRICAINE SUGAR BUXX EXOTIC SHOULDER BAG is so beautiful I love the colors and design of this bag and would use it all the time. I love paisley and FRICAINE CHICANZA EXOTIC SHOULDER BAG reminds me of that pattern, and I love the colors. My favorite bag is the Fricaine See Fancy Embroidered Exotic Bag, the mandala style design is so pretty. Fricaine See Fancy Embroidered Exotic Bag. I love the Fricaine Princess Demi Exotic Satchel Bag. I love the lavender colors. I signed up for the giveaway there also!!! I like the New Horizon backpack. My favorite is the FRICAINE CLOUD NINE EXOTIC SATCHEL BAG. I like this one because the colors are so complimentary to my taste ands style, as well as I like my purse organized. This looks like it might have just the spaces and compartment that I need to do this! I love the New Horizan Backpack. I love the color combination and this would be something different to carry for a change! I love the FRICAINE PRINCESS DEMI EXOTIC SATCHEL BAG, love the color and it's the perfect size!! My favorite is the FRICAINE DUCHESS EXOTIC SHOULDER BAG. I love the color! Plus it looks very roomy and I would be able to fit everything in it. I like the colors in the FRICAINE QUEEN'S HAND EXOTIC SATCHEL BAG. My favorite bag is the FRICAINE PRINCESS DEMI EXOTIC SATCHEL BAG. I love the color and the size of the bag. The ALAKE Embellished Bag is gorgeous! I love that bag! My favorite bag is FRICAINE SEE FANCY EMBROIDERED EXOTIC BAG. My favorite is the FRICAINE ELEGANZA EXOTIC SHOULDER BAG, love the beautiful colors!! I love the FRICAINE ALAKE EMBELLISHED EXOTIC BAG.. I would love to own the FRICAINE SEE FANCY EMBROIDERED EXOTIC BAG. The colors are beautiful! I love the FRICAINE CLOUD NINE EXOTIC SATCHEL BAG because it is shaped like I prefer and it has a shoulder strap which I need because I walk with a cane. I like the FRICAINE QUEEN'S HAND EXOTIC SATCHEL BAG because the colors match the majority of the clothing I wear. My favorite would be Fricaine cloud nine exotic satchel bag. I love the color of it. I really like the FRICAINE EFFICO EXOTIC HOBO BAG. It is about the right size and I love the mix of colors with the turquoise and purple. I just totally love the Fricaine Pretty Bride Shoulder Bag! I would love to have the Fricaine Princess Demi Exotic Satchel Bag, it is so pretty, this is the kind of purse I would love to have and take every where. I really like the Fricaine Pretty Face Exotic Shoulder Bag because it's different and I love the style. It also is a big bag for me I like my purses roomy. I love the Fricaine cloud nine exotic satchel bag. It is such a beautiful orchid purple. I like the Bright Morning bag. The colors are so bright and cheery. I love the Queen Hand Bag because it is orange and I love all things orange. My favorite bag is the FRICAINE PRINCESS DEMI EXOTIC SATCHEL BAG. I saw a few more I loved too. Hard to choose. I like the Fricaine Starlet Exotic Backpack. There are other ones too ..
My favorite is the FRICAINE SEE FANCY EMBROIDERED EXOTIC BAG because it's a nice satchel with extraordinary artwork! My favorite bag is Fricaine Limelight Exotic Backpack. They have really beautiful bags and wallets too! I like the Fricaine Alake Embellished Exotic Bag - great colors and very chic! I like the Amazonian Embroidered. I already own one Fricaine purse and I love it but would like a little smaller one. I like the Fricaine Queen's Hand Exotic Satchel Bag the most of all of the products available. I like it because of the stitching and quality. i like the FRICAINE SUGAR BUXX EXOTIC SHOULDER BAG because it has a pattern which would match most of my clothes and i like he shape. I would like the FRICAINE PRETTY FACE EXOTIC SHOULDER BAG because I can use it as a weekender bag. I picked this because practical functions of bag and so bright and cheerful..aptly named. I like the FRICAINE ALICE CROSSBODY EXOTIC BAG because I like the style and size of the bag. The FRICAINE ALAKE EMBELLISHED EXOTIC BAG is my favorite because I love the colors.